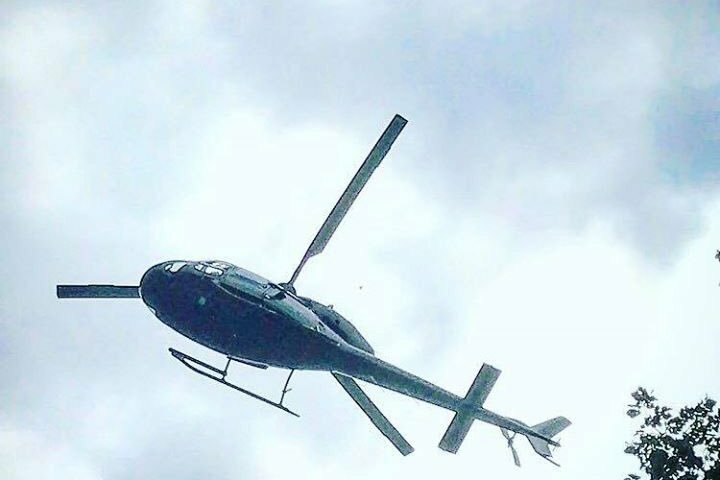 A low-flying helicopter drew curious looks from residents in Philadelphia's Mt. Airy neighborhood in early June 2017. In the past 24 hours, the drama surrounding the low-flying, menacing, unmarked helicopters has widened, but I can formally state that we have found some answers for you all. 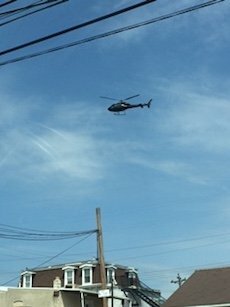 Investigation: What's up with the creepy unmarked helicopters 'menacing' a Philly neighborhood? As it turns out, he was not alone in thinking this dynamic was, in a word, creepy. Dozens upon dozens upon dozens of readers have reached out via email or social media to share their tales of concern. Some provided theories and information that laid to rest any need to fear those unmarked helicopters overhead. It started with an email from a gentleman who works just outside the city limits near Chestnut Hill. He also noted that he saw a similar helicopter this past Monday. Less than two hours later, a man who works at the Cira Centre chimed in with the caveat that he would rather remain anonymous. He noted that he saw the same helicopter from the photo accompanying the story “flying very low photographing the high-tension electrical wires along the ‘High Line’ freight railroad tracks that pass near Franklin Field, behind the Drexel office building (former Bulletin newspaper HQ), just north of the Cira Centre at 2929 Arch St., then proceeded up towards the zoo. A low-flying helicopter as seen from the ground in Prospect Park, Delaware County. There were many more sightings, but rather than list them all (many of which can be seen in this Facebook thread), let’s delve into answers and questions that have surfaced amid this onslaught of helicopter chatter. A SEPTA employee who asked to remain nameless so neighbors didn’t know he or she worked for the agency did some digging around internally. In doing so, high-ranking engineers said it had nothing to do with SEPTA. For the official record, SEPTA spokesman Andrew Busch also did some digging. Word from Amtrak derailed that theory to a certain extent. “Any low-flying helicopters over Amtrak rail lines are inspecting power lines owned by utility companies. Utilities pay Amtrak to have their power lines run along our right-of-way,” noted Mike E. Tolbert who works in Amtrak’s media-relations department. Asked whether he knew if that’s been happening of late, he deferred questions to the utility companies themselves. Yes, we do helicopter patrols of transmission lines and related equipment on a regular basis. Yes, people are taking pictures from those helicopters. Yes, we were doing so in and around the area on good-weather days last week.